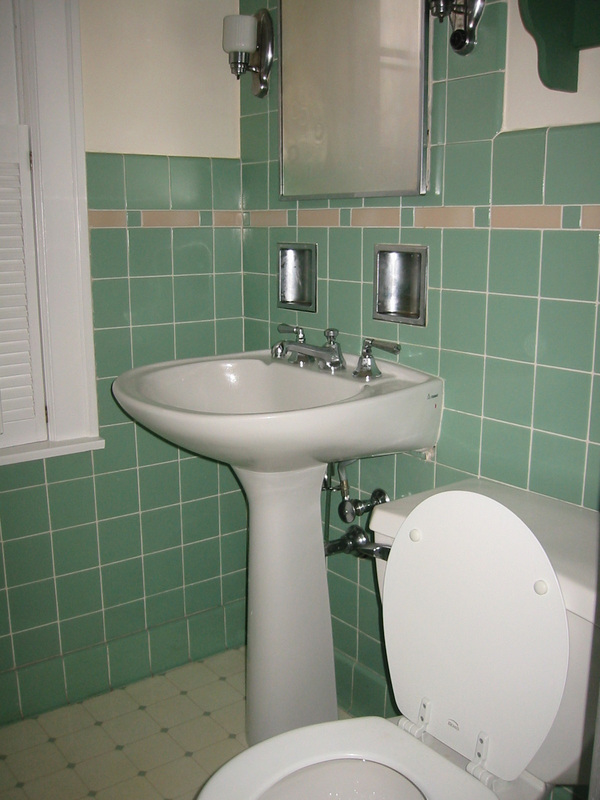 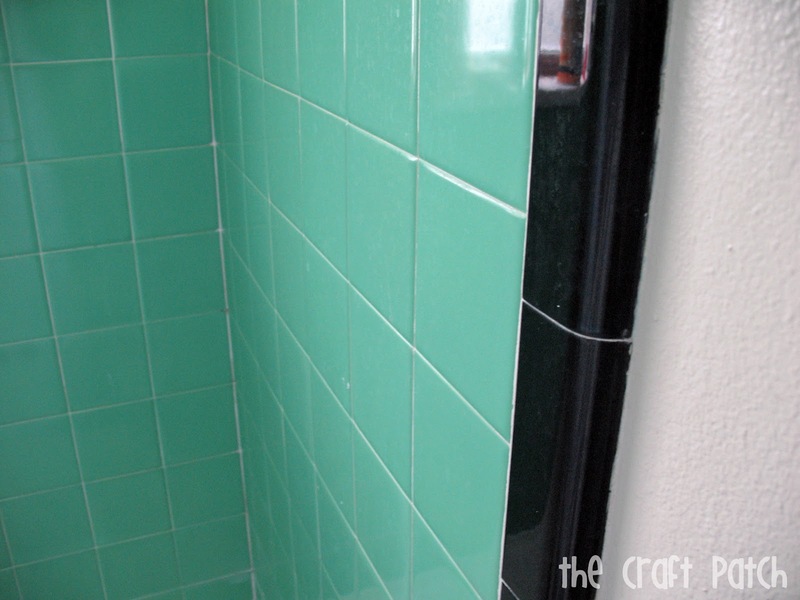 Actually, there is no such thing as “vintage” tile in case you want to have a bathroom inspired by days gone by. 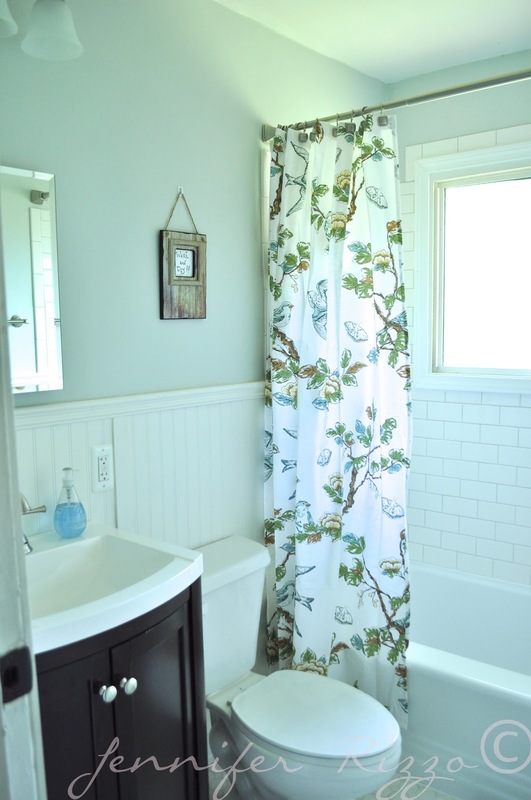 There are certain colors that would help you achieve this effect and many different decor items and bathroom fixtures to add to the full picture. 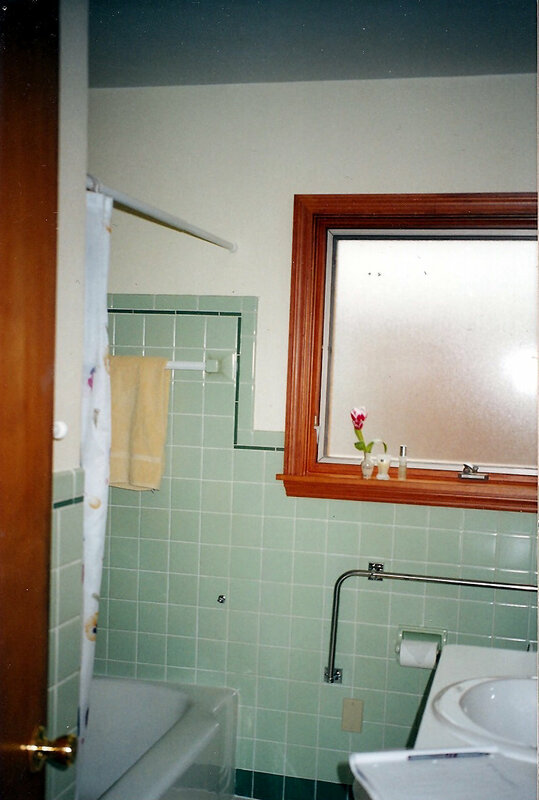 Let’s start with the color. 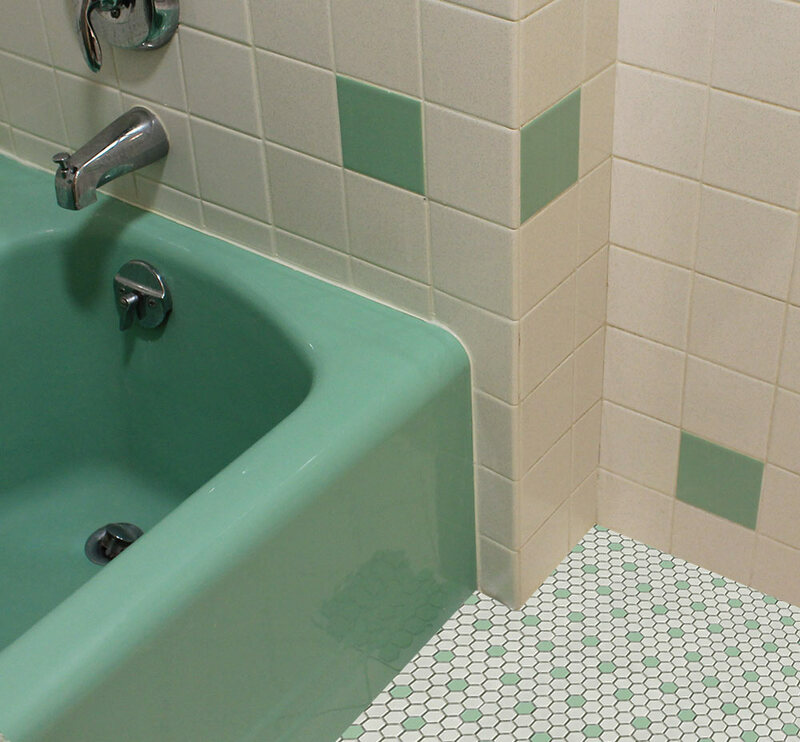 Pink, blue and green – these are the best colors for creating retro atmosphere in the bathroom. 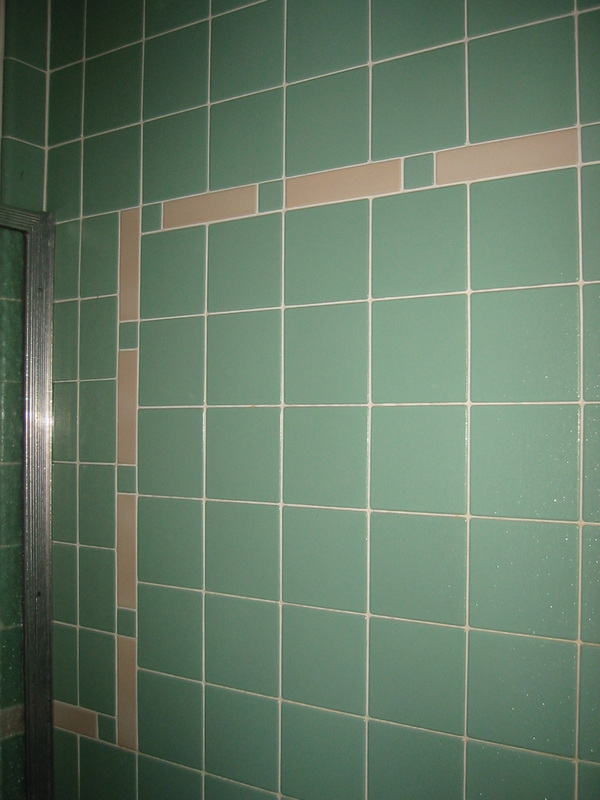 Under appropriate conditions they will help you get the result you want. 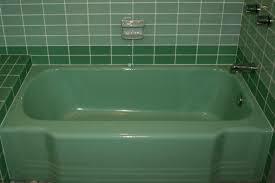 And if pink is too “girlish” and blue is the color you are tired of (it’s used so often in the bathroom that it’s no surprise) then your bets option is green. 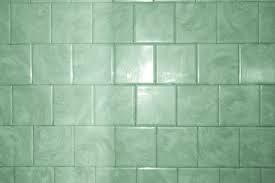 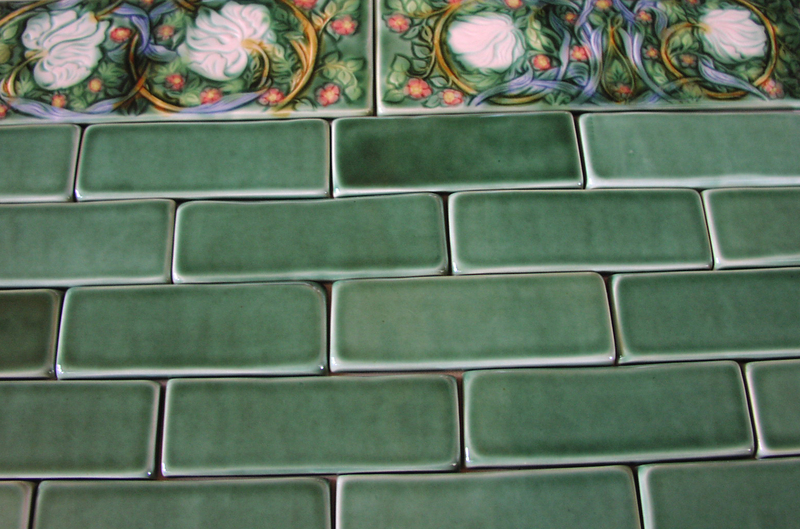 Choosing the right shade of vintage green bathroom tile you must pay your attention to more gentle and pastel shades like mint or sage. 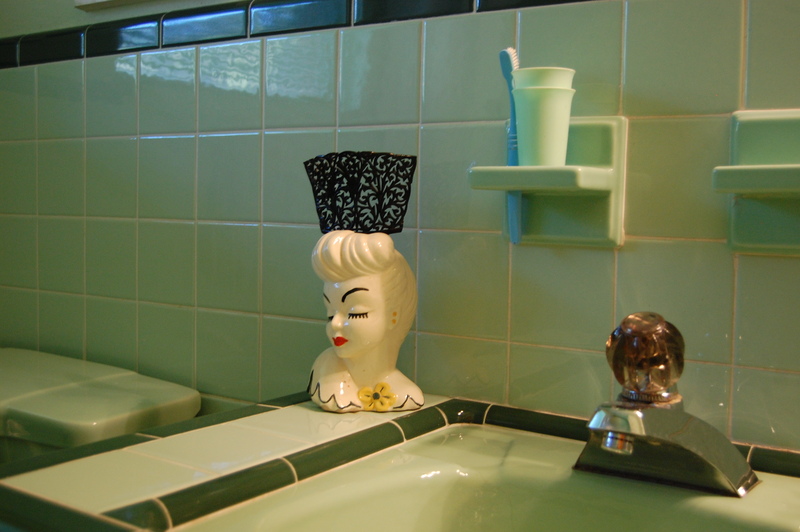 They will help you create the atmosphere of 50s and make your bathroom look elegant and exquisite at the same time. 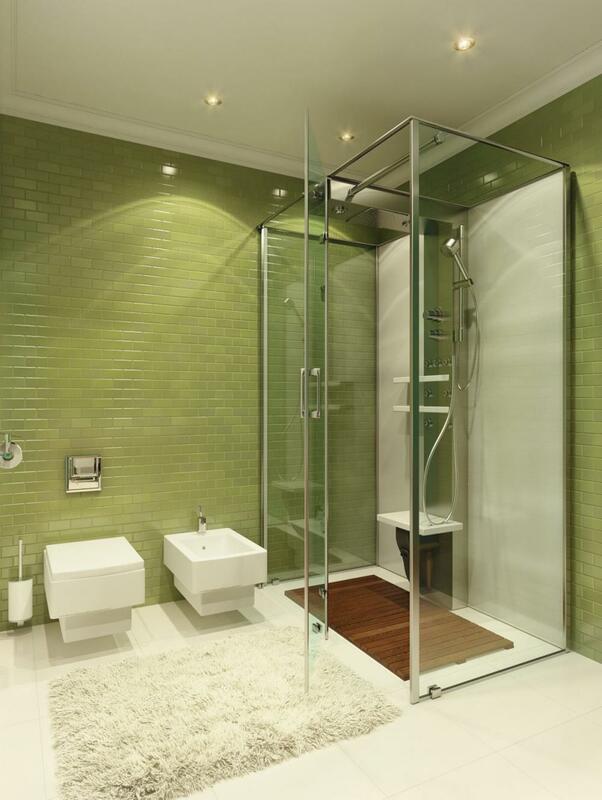 Lighter shades of green combine perfectly with white and black, especially if you want to have a “vintage” feel. 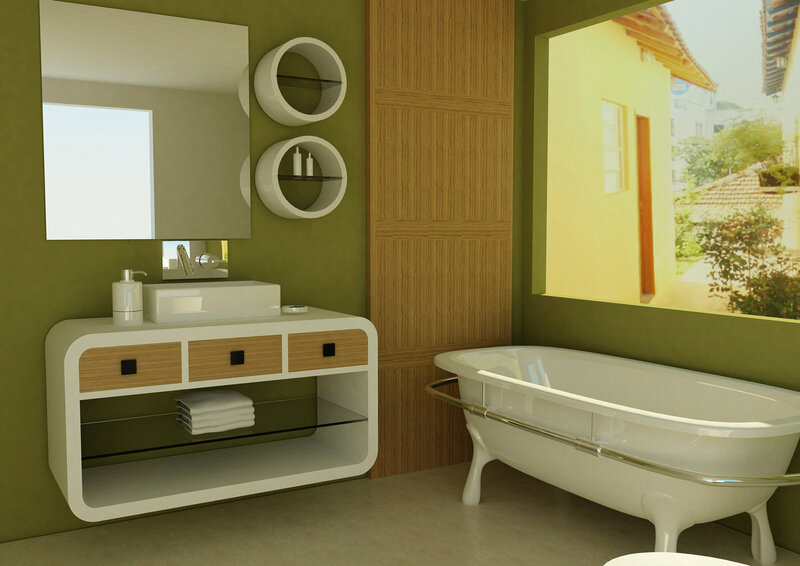 Black is usually used as a border on the floor or around sink and bathtub. 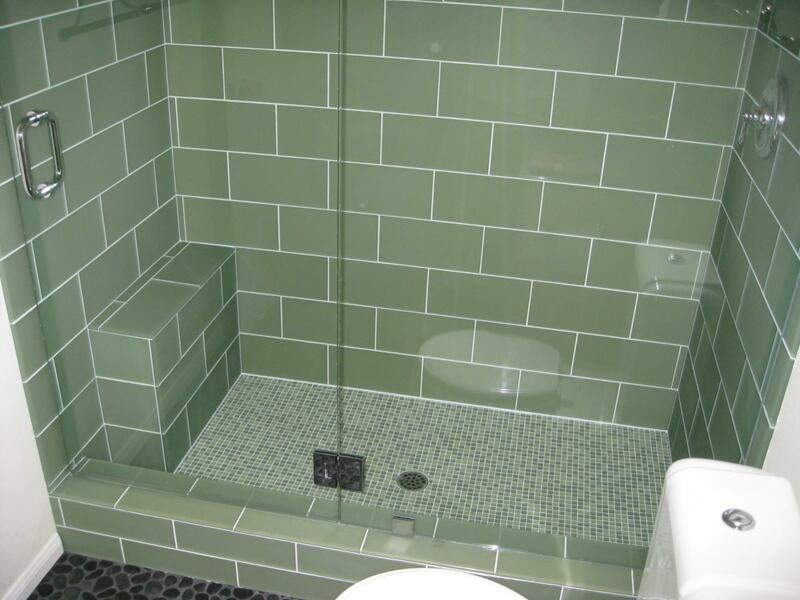 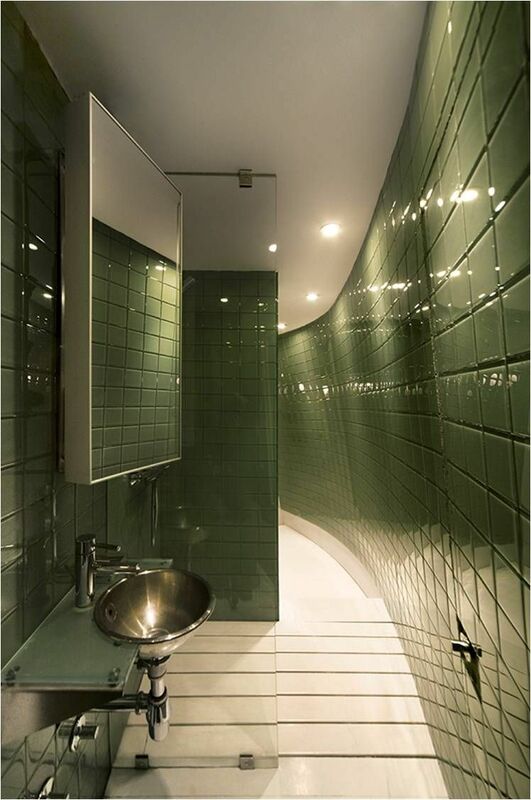 As for the tile design, you should seriously consider simple square shape or glossy subway tile for shower area. 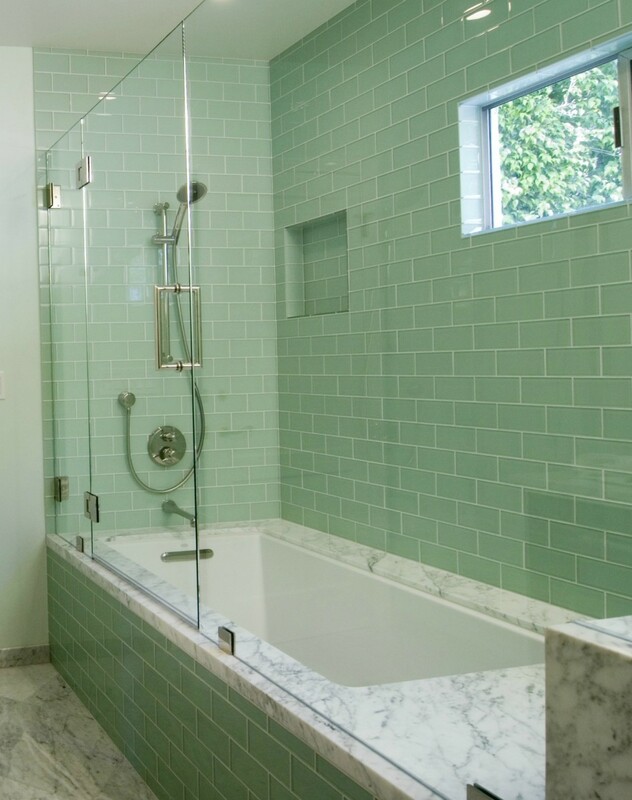 If you need some help we are here to give it to you: in our photo gallery you’ll find several interesting ideas for your dream bathroom in vintage style.